Throughout the Middle Ages, Christians wrote about Islam and the life of Muhammad. These stories, ranging from the humorous to the vitriolic, both informed and warned audiences about what was regarded as a schismatic form of Christianity. 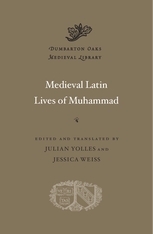 Medieval Latin Lives of Muhammad covers nearly five centuries of Christian writings on the prophet, including accounts from the farthest-flung reaches of medieval Europe, the Iberian Peninsula, and the Byzantine Empire. Over time, authors portrayed Muhammad in many guises, among them : Theophanes’s influential ninth-century chronicle describing the prophet as the heretical leader of a Jewish conspiracy ; Embrico of Mainz’s eleventh-century depiction of Muhammad as a former slave who is manipulated by a magician into performing unholy deeds ; and Walter of Compiègne’s twelfth-century presentation of the founder of Islam as a likable but tricky serf ambitiously seeking upward social mobility.